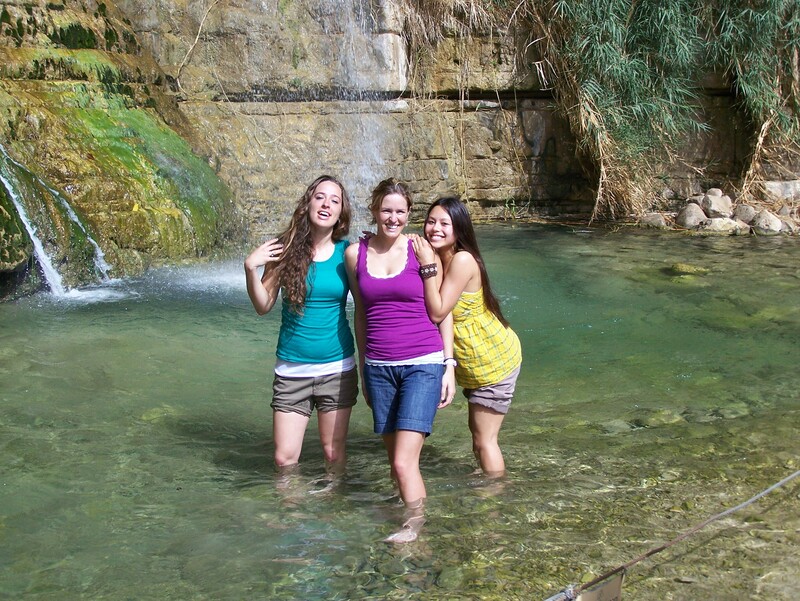 Israel Update #3 — with Picture Goodness! Hope you are all enjoying the few updates from Israel. Today we drove up to the Syrian / Lebanese border, a place called Mt Ben Tal. There is a great view of Mt Hermon, and a nice coffee shop (I had Turkish coffee and some cherries bought from a Druze man outside the store). We visited Gamla, Banias, and tel Dan, then drove through Tiberias. Tomorrow we go through the “Jesus sites” in Galilee. It is very hot and humid right now in Israel, and there is a haze in the air. Sadly, this has reduced our views of the valleys in some cases, although we could still see snow on Mt Hermon. I think I will get one more update in before heading back to Jerusalem. Internet has yet to come to the Rosary guest house. Israel Update #2 – We are in Galilee! I thought about titling this “I blogged where Jesus blogged” but I am pretty sure that has been done before and it is likely blasphemous. For all of those awaiting an update to this spot, I am in the lobby of the Ma’agan Holiday Village, over looking the Sea of Galilee. 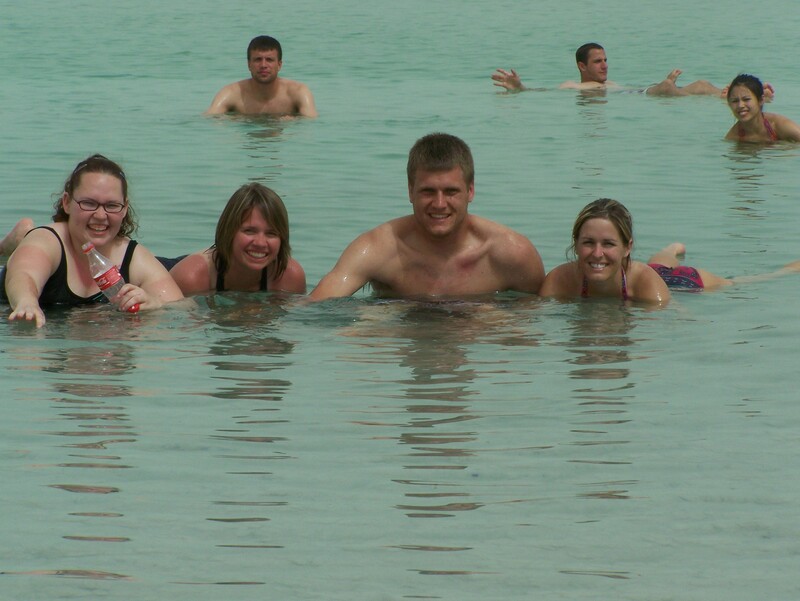 We have had a great time in the desert the last two days, up Masada, floating in the Dead Sea (and yes, even I float! 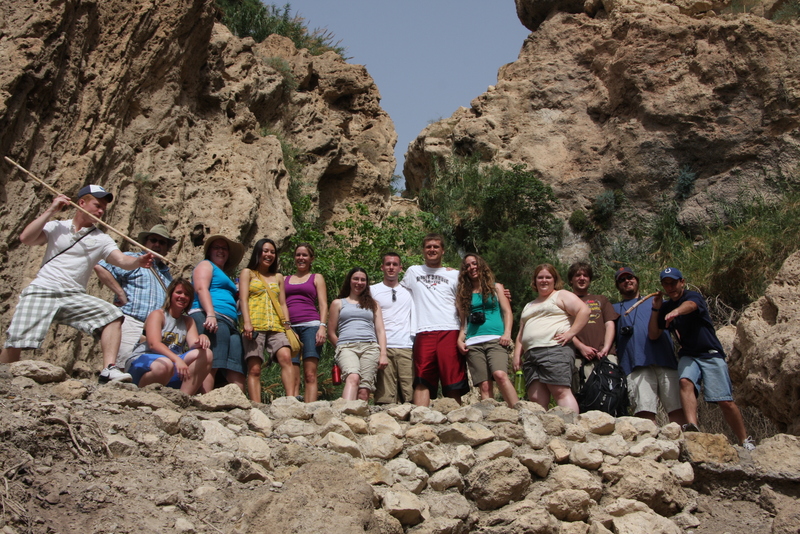 ), then a long hike up En Gedi (where there was some likely illegal swimming). 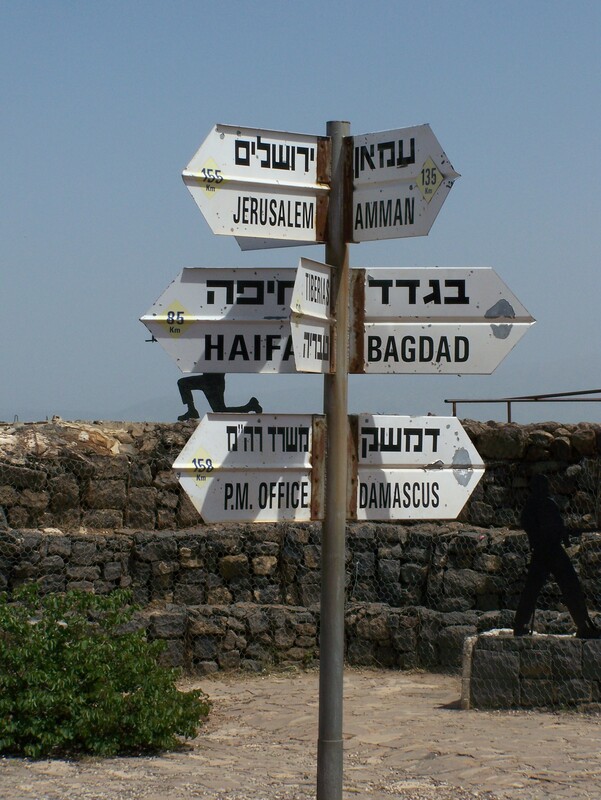 We will be in the Golan Heights tomorrow, then all the “Jesus sites” the next. Everyone is doing great and having a great time, nothing but smiles and good things to say about what were are doing on this trip. I could not be prouder of the kids. I’ll try for another longer update tomorrow. I might get some pictures up as well. I am using a public internet computer, but I hope to borrow a laptop tomorrow. Let me take the opportunity to post an update our progress in Israel. We are all fine and healthy and staying in Arad at the moment. Yesterday we walked all the way around Jerusalem’s Old City, starting with walking the walls of the Old City. We visited the Western Wall, and several other fantastic sites in the Old City. Everything has gone well so far, although there have been a few curve balls. Oddly enough, every time something has gone wrong, the answer is “…because of the Pope.” I think that will work out in a few days since he is going home. We saw some excellent things today, maybe next time I can post a few pics. 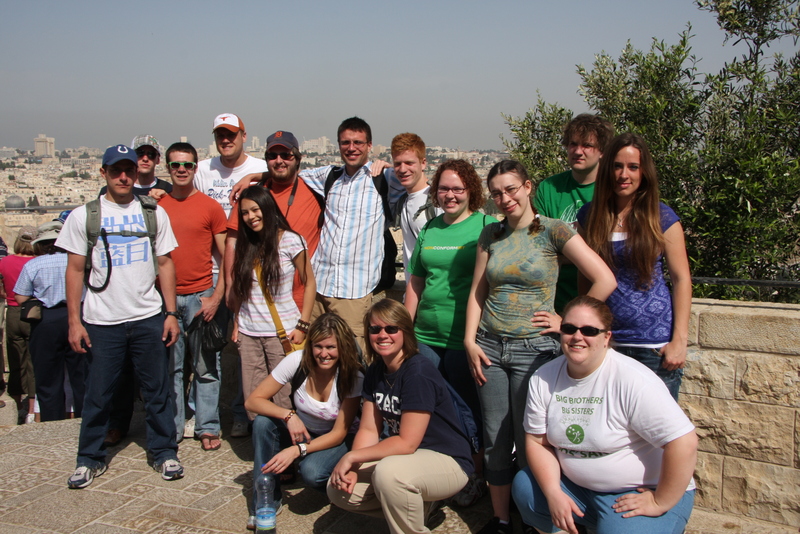 Check back to this blog for more GBC/Israel information, pics, etc. Ben Gurion airport and drives us to the Rosary Guest House (Arrive at 5:20 PM Israel Time). The Rosary Guest House has a good reputation and is centrally located in Jerusalem, and comes highly recommended. Walk across Independence Park to Ben Yehuda Street; Visit the ATM for Shekels, have a snack, soak up some local culture. Get a good night’s sleep! We walk down Agron Street and walk through the Jaffa Gate of the Old City of Jerusalem, walk the old city market. Beginning on the Mount of Olives we walk down to the church of the tear-drop and the Garden of Gethsemane on the Bethany Road. To Margoa Arad, our hotel for the evening. Back to Maagan to enjoy the swimming pool! The audio for this evening’s sermon is available here, as is a PDF handout. Remember that you can leave comments and questions at the bottom of the page, or by clicking on the comments link just above this paragraph. That link only appears after the first comment. After Paul participated in the vow with the Jewish Christians, Asian Jews stirred up trouble for Paul. These Jews begin by spreading the common mis-understanding of Paul’s teaching, that he is anti-Jew. Paul is not anti-Jew in the sense that he wants Jews to stop being Jewish, he wants them to stop relying on the Law for salvation. To the orthodox Jews, this is worthy of death. The charge the bring against Paul is that he brought a Gentile into the Temple. This would be a serious offense, worthy of death (for the Gentile, as well!) The Jews did not allow women or Gentiles into the central courts of the Temple, believing them to be unclean. Is this anger credible, or is Luke exaggerating the situation for rhetorical reasons? The evidence seems indicate that there were zealots in Jerusalem in the mid first century who were willing to use violence to guard the sanctity of the Temple. Philo, Spec.Laws 2.253 And such a man will never entirely escape, for there are innumerable beings looking on, zealots for and keepers of the national laws, of rigid justice, prompt to stone such a criminal, and visiting without pity all such as work wickedness, unless, indeed, we are prepared to say that a man who acts in such a way as to dishonour his father or his mother is worthy of death, but that he who behaves with impiety towards a name more glorious than even the respect due to one’s parents, is to be borne with as but a moderate offender. Luke points out that the charge is not true, that the Gentile that had been seen with Paul did not enter the temple. The charge comes from “Jews from the province of Asia,” quite possibly from Ephesus. They would have been the most likely pilgrims to recognize Trophimus as a Gentile convert and associate of Paul. 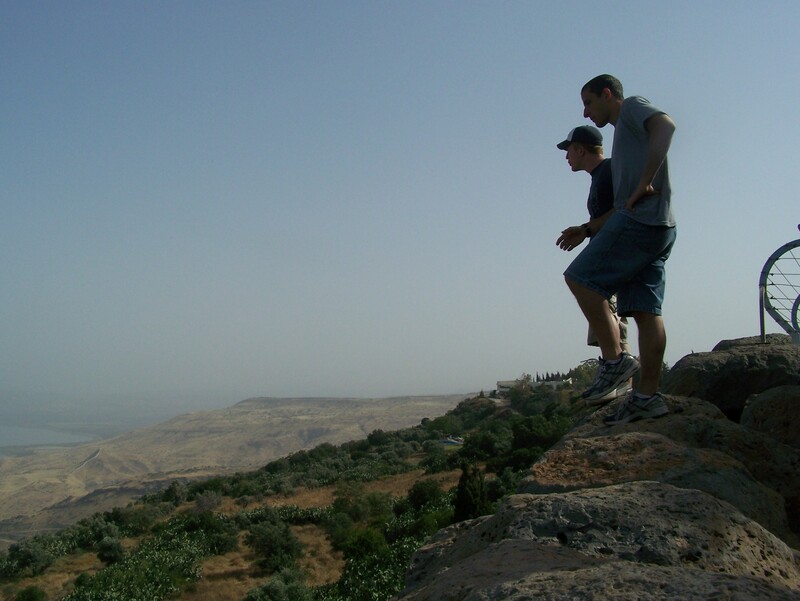 These men are never called disciples, so the implication is that they are Jewish pilgrims. If this is true, there is a hint here that the Jews from Ephesus were anti-Paul and quite willing to stir up trouble for him in Jerusalem. We have speculated earlier that Paul’s time in Ephesus was more troubled than Luke lets on; this is another bit of evidence in that regard. Perhaps Paul was in prison on Ephesus after all! That Diaspora Jews are interested in rioting in the Temple over potential desecration indicates that Diaspora Jews cannot be considered “liberal” on Law. These are people who are very zealous for the traditions of the Law and the sanctity of the temple and are willing execute Paul for breaking the sanctity of the Temple. Like Paul before his conversion, the Hellenistic Jews are willing to use force if necessary to defend the Law and the Temple.